It’s possible that you’ve heard this phrase before, “I am the Alpha and Omega”, but didn’t know what that was exactly. Alpha and Omega are letters from the Classical Greek alphabet. The Alpha letter comes at the very beginning of the alphabet and Omega comes at the end. So why did Jesus describe Himself this way? I believe it was because He was revealing Himself as eternal, with nothing coming before Him or after Him. He reinforces this concept in the second half of verse 8: “Who is, and who was, and who is to come”. Jesus may have been describing Himself as eternal, but today it came to my mind that it’s also how I should be thinking of Him in my daily life. When my boys were attending a Christian school in Tucson, they were taught the JOY method – Jesus – Others – Yourself. They were encouraged to put the Lord first, others ahead of themselves, and also to respect themselves. If I think of Jesus first thing when I wake up, and the last thing before I go to bed, I’m well on my way to having a stronger relationship with Him. What if I take that a step further and each time I make a decision or consciously act while putting God first and last in my thoughts? I wonder how my life would be different. If I could live the JOY method more truthfully, I would guess that my friends and family would start to see more of the fruits of the Spirit presenting themselves in my life. 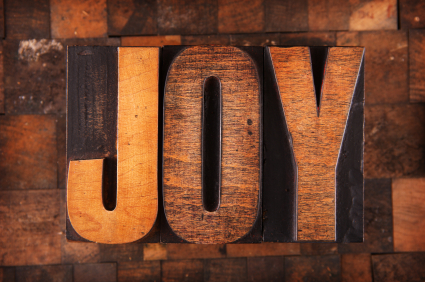 Are you a believer in the JOY method?